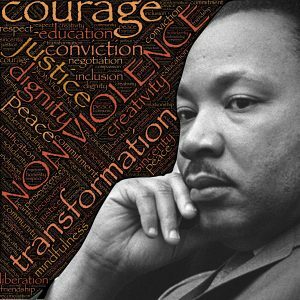 This month marks the 50th anniversary of Dr. Martin Luther King, Jr.’s assassination in Memphis. Dr. King went to Memphis 50 years ago to help black sanitation workers receive fair treatment in the workplace. The City of Memphis treated black sanitation workers far worse than white sanitation workers. White sanitation workers, for instance, could shower at work after they finished the filthy job of collecting people’s trash but black sanitation workers could not. The City also did not provide black sanitation workers with shelter from storms which led to two black sanitation workers getting crushed to death inside of a trash truck where they took shelter during a storm. To secure better working conditions, the black sanitation workers went on strike. The union that these black sanitation workers formed back in the 1960s is still around today. That union is still trying to secure better working conditions for its members, including air conditioning in garbage trucks, better pay, and benefits for temporary employees. Study after study shows that employment discrimination against black workers is still an epidemic. Many studies have shown that black job applicants across the nation face persistent barriers because of their race which have not improved in decades. Employers disproportionately discipline black employees. Some of this disparate treatment in the workplace is due to implicit biases that drive our behavior without us even realizing it; but there is also still a high amount of conscious and overt prejudice against black people. Indeed, in 2012, an AP poll found that 51% of Americans said that they held racist attitudes toward black people and that number probably has not gotten better given the overt racial discrimination we have seen in places like Charlottesville, Virginia. Attorneys with the Maine Employee Rights Group have experience fighting racial discrimination in the workplace. If you have suffered from racial discrimination, contact us. We will analyze your situation and let you know whether we think you have a good case.